Proximity or Magnetic Stripe Card Readers Interfaced with a Panel or Controller. Highpower Security Products’ JX-Series Smart card access readers solve many of the problems that arise when trying to integrate an existing barcode, mag-stripe or proximity card into an existing system. The Smart Series readers are typically custom-built for each customer and card access and security application. Due to their custom nature, there is a 2-3 week lead time on delivery for the Smart Series readers. 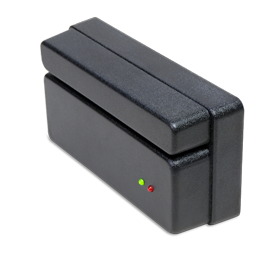 You can order these access security reader models in any combination of mag-stripe, barcode, and proximity card in the same reader! Visit the Highpower Management System Enterprise (HMS) page for information on our door access control software available for these card access reader models.